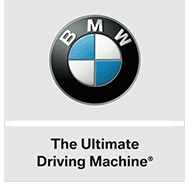 BMW of Bloomfield is proud to be your auto maintenance center, and we invite drivers of all makes and models in the Clifton, New Jersey area to visit our dealership for maintenance work today. Our state-of-the-art BMW service department is equipped to handle a range of requests, and our diagnostic equipment is operated by our professional technicians so that we can get to the root of the problem in a timely manner. Don't trust the care of your high-performance sports car to just anyone, visit BMW of Bloomfield for the stress-free, transparent service process you and your BMW 3 Series deserve. Or any other maintenance your new or pre-owned vehicle may be in need of. As your local BMW dealer, we're here to ensure all drivers in the Montclair, NJ area are able to care for their vehicle. That's why we keep our maintenance prices competitive and offer a range of service specials to put to use. We'll also only use genuine components when completing work to ensure your vehicle is not only able to stay authentic with an intact warranty but stay up to factory standards! Use our website to request an auto service appointment at our service center in Bloomfield, New Jersey today. Our easy-to-use online form guides you through the scheduling process, and our dealership will confirm your appointment shortly. If you would like to speak with a service team member about your vehicle's needs, or have a question about the types of services we offer, feel free to give us a call. BMW of Bloomfield is here to address and provide for all of your auto needs, and we look forward to assisting you soon.